The Cinematic Orchestra are back with a definitive new album that explores a timeless question of vital importance in 2019 – what to believe? Founding member Jason Swinscoe and longtime partner Dominic Smith have enlisted album contributions from collaborators old and new: Moses Sumney, Roots Manuva, Heidi Vogel, Grey Reverend (vocalist on Bonobo’s ‘First Fires’), Dorian Concept and Tawiah(Mark Ronson, Kindness). Miguel Atwood-Ferguson (Flying Lotus, Anderson Paak, Thundercat, Hiatus Kaiyote) features on strings and photographer and visual artist Brian “B+” Cross collaborated with Swinscoe and Smith on the album’s concept. The record was mixed by multiple Grammy winner Tom Elmhirst (David Bowie, Frank Ocean, Adele) in Jimi Hendrix’s legendary Electric Lady studios. The album artwork comes courtesy of The Designers Republic™ (Aphex Twin). The album announce is marked by the general release of new single ‘A Caged Bird/Imitations of Life’featuring Roots Manuva. The track, revealed via an innovative website only accessible on offline devices – a paradox illuminating the album’s core question of what to believe, was available initially on 12″ in independent record stores and sold out in a matter of hours. The artists first collaborated in 2002 on fan favourite ‘All Things to All Men’, 17 years later the partnership has lost none of its urgency and searing insight as Roots Manuva laments how our “situation is strange to us, stranger things are claiming us” over a pounding, hypnotic rhythm section that concedes to the choruses’ soaring strings. If Coldcut x On-U Sound’s album “Outside the Echo Chamber” is a modern day Mothership, ‘Vitals’ is its advance dispatch pod, hovering overhead and gripping you in a warm sonic tractor beam, bringing news of joyous, multicoloured musical thunder. Featuring fellow maverick and frequent Coldcut collaborator Roots Manuva, ‘Vitals’ is a spiky rallying cry for Britain’s indestructible musical melting pot. With a true-school dub remix from Dennis Bovell (alongside Mad Professor and Adrian Sherwood, the third column in the Holy Trinity of UK Dub) this is fresh, sharp UK music, looking inwards and outwards at once. Take a step outside the echo chamber – it sounds better out here. The album “Outside The Echo Chamber” features Lee “Scratch” Perry, Roots Manuva,Ce’Cile, Toddla T, Junior Reed, Dave Taylor (Switch/With You.) and is out on May 19th 2017 on Ahead Of Our Time (Coldcut’s first label). Coldcut celebrate 30 years in the music game this year! Coldcut, the British DJ and production duo that founded Ninja Tune in 1990, have shared a new single, “Only Heaven” featuring Roots Manuva and Thundercat. Out via their re-launched label, Ahead of Our Time. 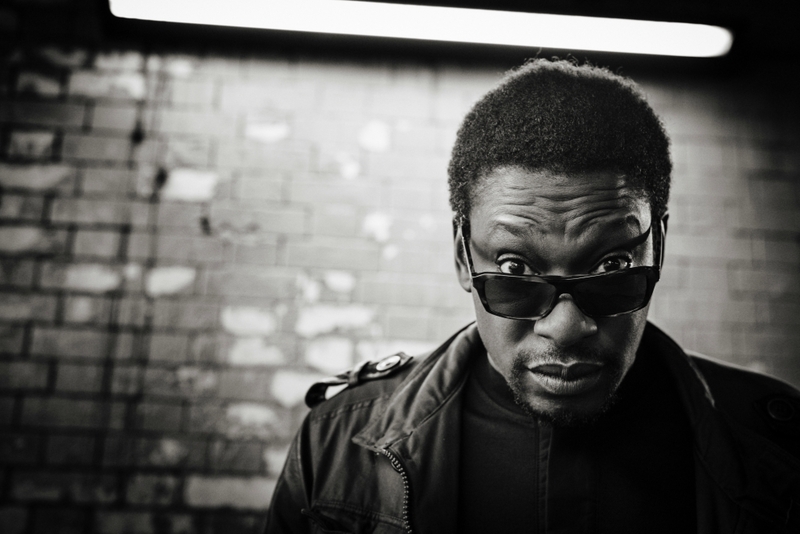 First played on his recent Radio 1 Residency show, Kode9 remixes Roots Manuva’s ‘Crying’. Watch the video for ‘Crying’ here (via Noisey). 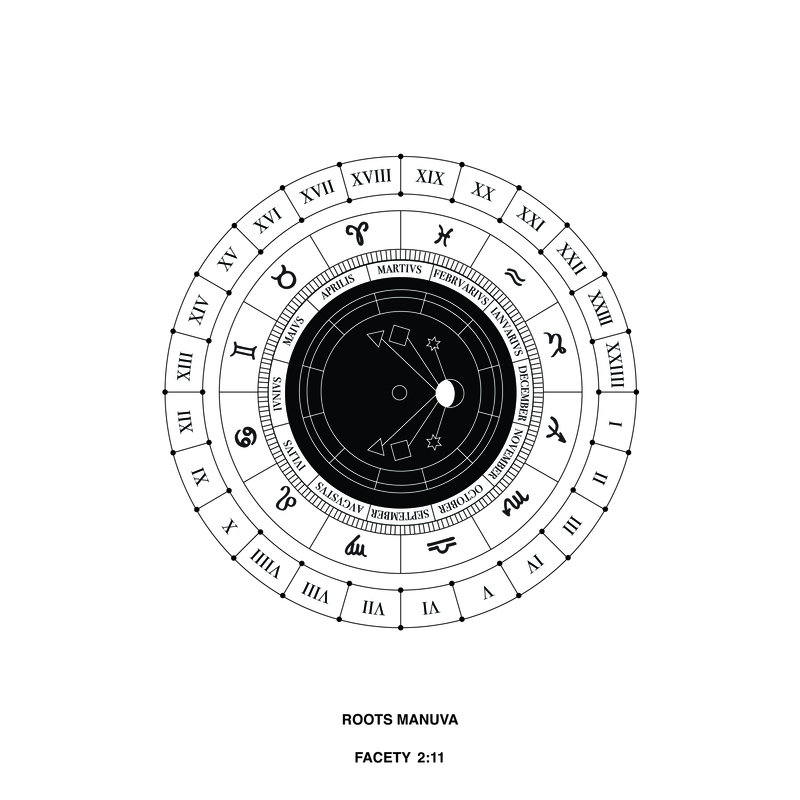 Also, Roots Manuva celebrates Record Store Day with yet another cutting-edge vinyl packed with the kind of combination of “bass and verb” which has made him one of the UK’s most essential musical artists. Off the back of the universally-acclaimed Bleeds album, Manuva has cooked up three brand new tracks to go alongside the astounding ‘Crying’ and ‘One Thing’ from that collection. All 5 tracks are produced by Switch under his new production banner With You. With You are Switch and Daouda Leonard (assisted by Stabber), on this outing, with a little help from their friends Crookers,Toddla T, Coldcut and were written, recorded and produced at his studio in Los Angeles during the Bleeds sessions. Roots Manuva celebrates Record Store Day with yet another cutting-edge vinyl packed with the kind of combination of “bass and verb” which has made him one of the UK’s most essential musical artists. Off the back of the universally-acclaimed Bleeds album, Manuva has cooked up three brand new tracks to go alongside the astounding ‘Crying’ and ‘One Thing’ from that collection. ‘Iron Shirt’ kicks off the package, paying homage to Max Romeo in name only, a twitching, hard-rhyming package brought into sudden, funky focus by a vocoder chorus. Lead track ‘Crying’ was one of the stand-outs from Bleeds — a furious lyric over chimes and baby cries, a study in paranoia. ‘Body Hot’ harks back to Manuva classics like ‘Buff Nuff’ — perhaps the most abstract take on dancehall this South London maverick has ever made. ‘Watch’, sees Rodney Smith riding a live-sounding break and lashings of sub-bass while jumping from deadpan Londonisms to Funkadelic flourishes to Jamaican patois. The EP is rounded out by ‘One Thing’, a perfect Manuva vehicle where a playground refrain pulls us out of any and all comfort zones and into conceptual deep space. And, as if those five tracks aren’t enough to excite the most jaded of palettes, flip the vinyl and you’ve got the instrumentals of them all to enjoy, too. In other Manuva news you can also hear him on the astoundingly good ‘Dead Editors’ from the new Massive Attack EP, Ritual Spirit EP. Announced on Feb 28 the track captures him on this crucial cut along with tracks from Young Fathers, Tricky and Azekel. Not only one of Britain’s greatest musical artists, but one of the greatest lyricists full stop, Roots Manuva is back with a dazzling new album, Bleeds. Past collaborations with everyone from Gorillaz to the Maccabees to Leftfield to Coldcut to the Cinematic Orchestra and big fans such as Arctic Monkeys to Damon Albern to Usain Bolt, Rodney Smith’s influence can be heard right across the musical landscape, paving the way for grime for one. Now, with his sixth studio album, he has made his most concise and focused record to date, his most emotionally affecting and powerful release since his breakthrough, Run Come Save Me. One of the true pioneers and originals of British music, any album from Roots Manuva is an event. When it’s as good as Bleeds it’s one of the musical events of the year. Both genre-adefying and deeply rooted in what he describes as “the culture of Bass and Verb,” the record innovates and consolidates in equal measure. Rodney Smith describes himself as “a British Black musical Mark Rothko” and Bleeds is another masterpiece from this abstract wordsmith. Out on October 30th 2015 on Big Dada. Watch the album trailer and stream ‘One Thing’ below. 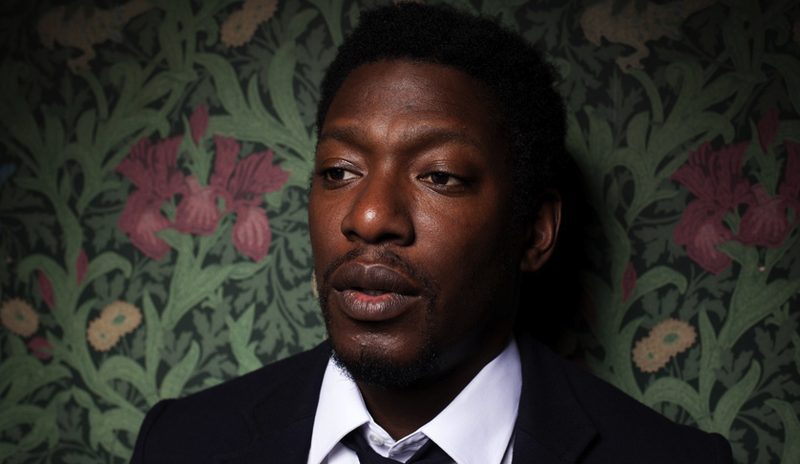 Rodney Smith aka Roots Manuva is arguably the greatest rapper ever to emerge from British shores. Over five albums of sonic invention, which, like all great hip-hop records, ran the gamut between funky fun and sharp-eyed lyrical incision, he’s carved out space for rappers in the UK, and become one the iconic voices in hip-hop from anywhere. Produced by one of electronic music’s most exciting voices, NYC’s Machinedrum, ‘Like a Drum’ is the second cut from new single Facety 2:11. Urgent and reflective all at once, its percussion swings gorgeously behind a melody intricately weaved from jazz samples and warm pads, Smith’s vocal ruminating on his past, future and present. Rodney Smith aka Roots Manuva is arguably the greatest rapper ever to emerge from British shores and after two years locked in the studio brewing up brand new music, he returns now with Facety, a stunning single produced by fellow UK maverick Four Tet. ‘Facety’ is patois slang for someone being rude – a barefaced cheek referenced by the insistent, cockney rhyming lyrical snip – ‘boat race’ – that makes up the chorus. Pre-order links: iTunes // Ninjashop. Released 4th May 2015 on Big Dada.